Over the last few years we have become increasingly committed to developing a work procedure that can meets and exceeds BSI Standards. 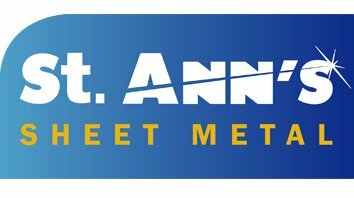 We caught up with the guys involved in seeing through this transition to hear their thoughts on the way Saint Ann’s now works. In short, the requirements that we had to meet included demonstrating our ability to consistently provide a service that meets our customers (and any statutory/regulatory requirements) while maximising customer satisfaction. This satisfaction is based on the quality of our process, commitment to continual improvement and finally the assurance of standards being met. Initially -­ and perhaps most importantly ­- we committed to putting the right people in the right places. This didn’t just mean making innovative shifts in staff roles but it also meant taking existing staff and giving them the qualifications to back up their work. This has helped us to demonstrate our commitment to continual improvement with training and qualifications but crucially, we are ensuring that our customers get peace of mind that they might not elsewhere. This is how we have such a reliable and accomplished team, we pride ourselves on realising people’s potential. Since introducing these changes into the way we work, when hiring we now think of the right person as a person we can train. Take Gary who went from being a highly qualified laser cutter to being moved across into the sales department. 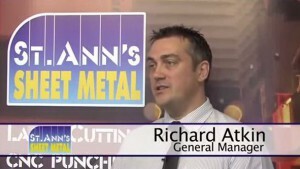 He was a person with such personal quality and knowledge that while he was a laser cutting expert he was the right person to work face to face with customers to ensure standards were as high in the office as they were on the shop floor. After we receive a request for a quote, we have to ask first how can we do this? Then we request any additional information to help ensure we know everything from the outset. We also have to look at how can we save the customer money. At this stage, the most important thing is that we quote for services that we know we can provide with realistic timescales. Meeting BSI requirements means we do have to ask ourselves these questions and be certain we can ensure the required quality is met. We then review the purchase order against the quote and make sure we are happy before giving the job a unique ‘works order number’. 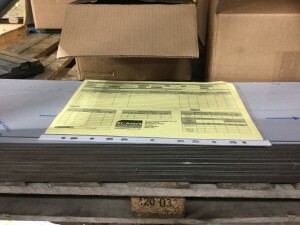 The Saint Ann’s unique route card is built from a standard template for every order number. It specifies things such as materials, timescales and most importantly inspections to be signed off by a dedicated product inspector. This was a procedure that we proudly modelled in the interest of accountability and quality assurance. This helps to demonstrate our quality of process but also makes continual improvement much easier as we have a record of events if ever standards slip. As a company that strives for the highest standards ­ both officially and unofficially ­ we have a rigorous inspection process. For efficiency, operators write up any waste or passed/failed inspections. After the final inspection is complete the route cards is sent back up into the office and the work is stored, to be delivered or collected. With new customers we try to make contact again after completion to check everything is okay and see how they found our service. This is something that we aim to do, to gather customer feedback which may be useful to us to improvement service. If you want to read more from our BSI certificate, click here.